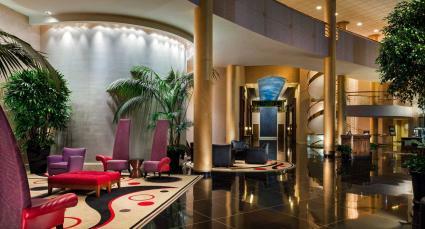 The hotel will provide information about how to contact them upon return for shuttle pick-up. Pick-up will be at 2H. Make a reservation today to be guaranteed a space at this professional and trusted parking lot. 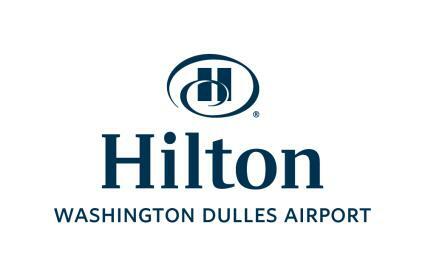 The Hilton requests that you bring your email receipt from SimpleAirportParking.com to the front desk when you arrive to confirm your prepaid parking reservation at their location. You may show a hard copy of your receipt or your receipt on your smartphone. BEFORE YOUR FLIGHT: Free shuttle transportation provided to and from your airport terminal. Shuttle hours 5 a.m. to 12:30 a.m. daily - every 30 minutes. Please arrive at the hotel 15-20 minutes before you wish to arrive at your departure terminal. WHEN YOU RETURN: Pick-up will be at 2H every 30 minutes. 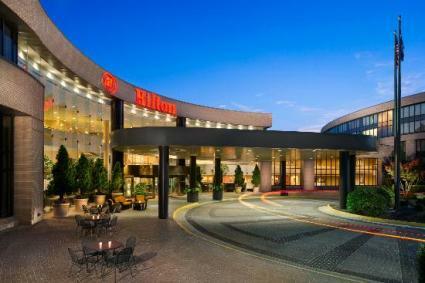 The Hilton at Washington Dulles Airport offers a convenient service at a great price! The safe and secure parking facility is located close to Washington Dulles Airport and is easy to access. Shuttle transportation is provided to and from your airport terminal. You are asked to arrive at the hotel 15-20 minutes before you wish to arrive at your departure terminal at IAD.